We are the best personal trainer service available in east London. From Victoria Park, London’s oldest purpose built public park to Queen Elizabeth Olympic Park, London’s newest park. 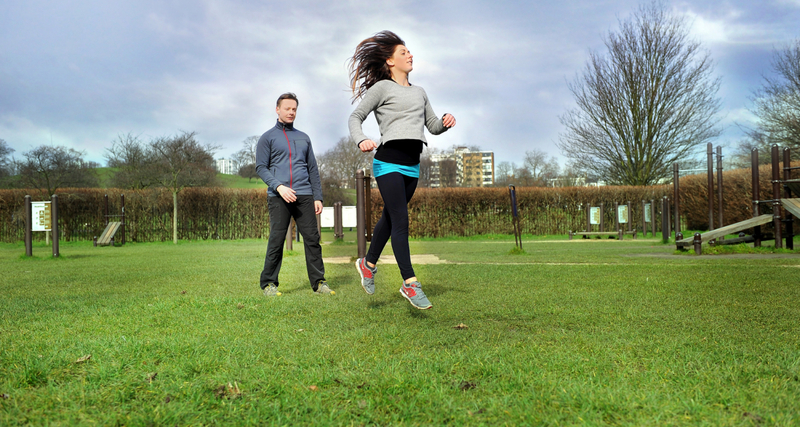 Choose a single location for your session, or have your trainer take you around a park. Our sessions can combine HIIT, boxing, pilates, yoga, kettlebells, resistance bands, circuits and many other elements. We keep the training fresh and effective. Read more about what’s on offer during our personal training sessions. Our most popular Training Plans have either 4, 8 or 12 sessions. We also have longer commitment packages too in our online shop. Once you’ve made a purchase, we’ll be in touch to organise your initial session – which is covered by our Happiness Guarantee. Your trainer will drop you a line to introduce themselves or can give you a call if you prefer. You’ll have the opportunity to ask questions or make a request about your training. Your first session is always a careful assessment of where you’re at and where you want to be. Of course personal training clients come to us wanting to lose weight, improve their posture, have more energy or become stronger. Most personal training clients do! But at Muddy Plimsolls we try to do more for the customer. We teach clients to master the basics of safe and effective exercise to last them a lifetime. We treat customers with respect and courtesy. And maintain a high level of customer service not just in the training but also in scheduling, billing and answering queries. Muddy Plimsolls runs a five-star personal training experience. We lead the way in customer service. We offer easy online payments (debit and credit card) using SSL-encryption PLUS a Happiness Guarantee. So you can try us out with just a single session and if you don’t like it, have your remaining sessions refunded.